Download What's New in 4.0? The best Stencyl games have reached top slots in the App Store and Google Play while being featured under the "Best New Game" section under their respective stores. Our best web games have been sponsored by major publishers such as ArmorGames, Kongregate and Newgrounds. 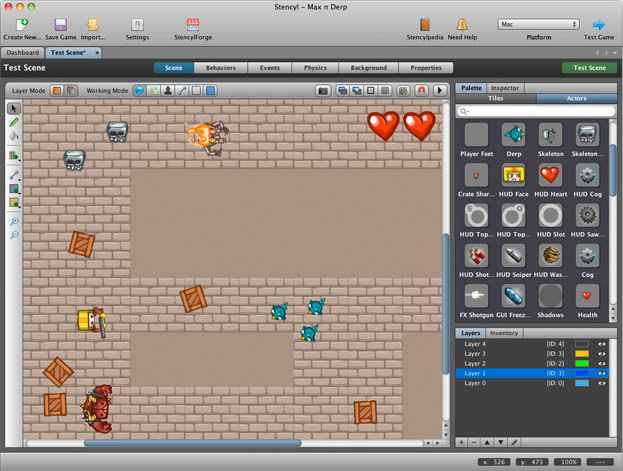 Our drag-and-drop gameplay designer pays homage to the successful MIT Scratch project. 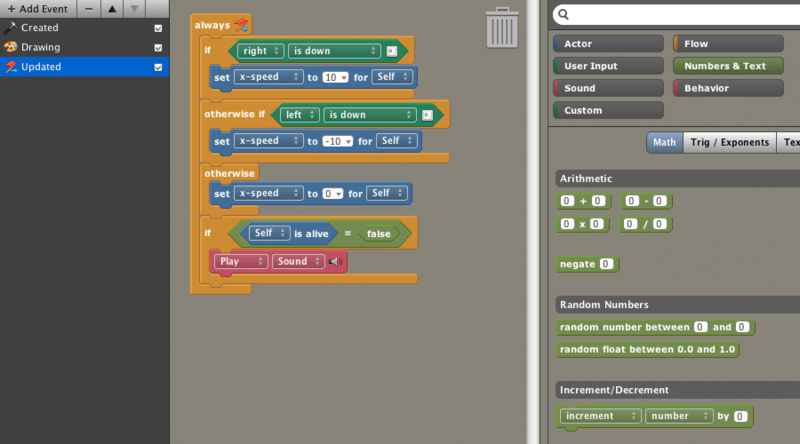 We extend Scratch's simple block-snapping interface with new functionality and hundreds of ready-to-use blocks. Power users can create and share their own blocks, extend the engine through code, import libraries and write their own custom classes that interact seamlessly with block-based Behaviors. If you're used to graphics editors like Photoshop, you'll feel right at home in the Scene Designer. Familiar features, such as a selection tool, zooming, grid-snapping and flood fill, will help you quickly craft complex worlds out of Actors, Tiles and Terrain. Drop in graphics from your computer to create Actors on the fly. 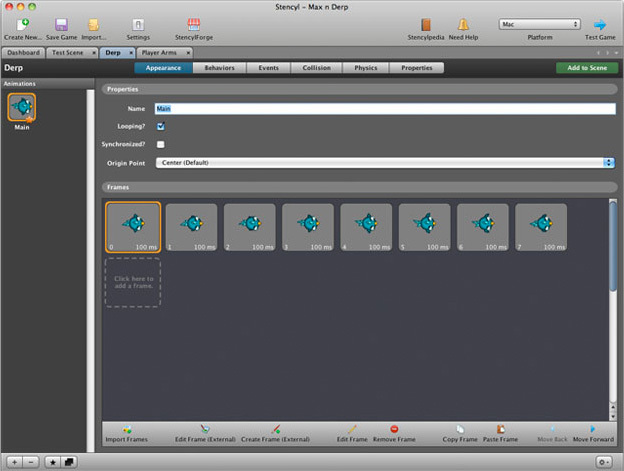 Then use Stencyl's Actor Editor to tweak your Actors' appearances, behaviors and physical properties, and to get them ready for showtime. Bringing your game to the App Store, Google Play or alternate stores like Steam is the best way to make money and reach millions of players. Our best games have brought in enough to allow their developers to quit their jobs and create games full-time. Games can embed ads as a primary or secondary source revenue. 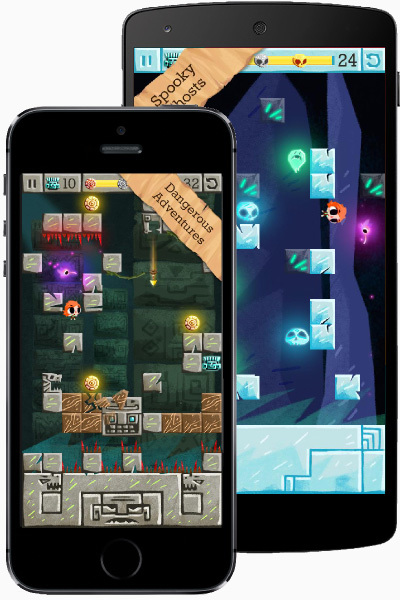 We support iAds and AdMob for mobile games while web games can use Newgrounds. A larger variety of networks (including ad mediation) are supported through extensions. Games that wish to adopt a freemium model can use in-game purchases to provide unlockable levels & content while offering part (or all) of the game for free, boosting its reach to more players. Sell rights to your game to a sponsor who will market the game on your behalf. 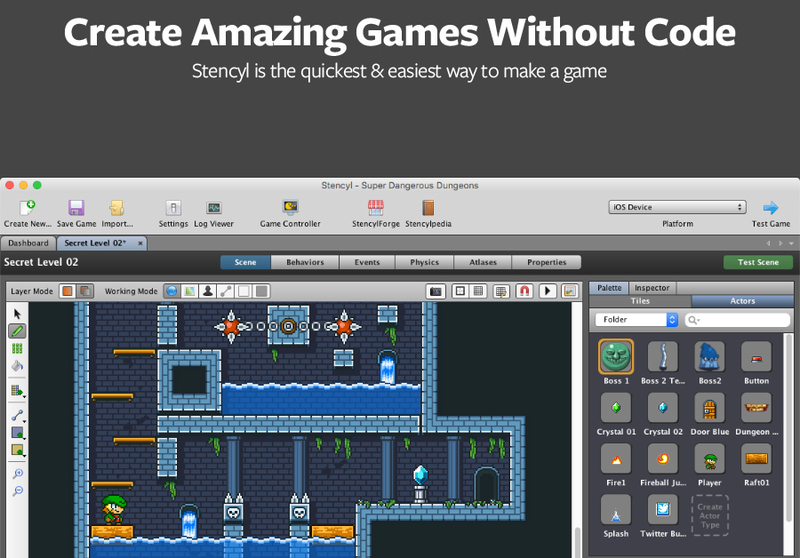 Many Stencyl games have been proudly sponsored by big names (ArmorGames, Kongregate, Newgrounds) and small names alike.